The new Cybertablet Z12 features a 10"x 6.25" work space for drawing, handwriting, sketching, coloring and picture editing. This tablet enables you to control the pressure level of the pen. With a 1024 lop (level of pressure) you could adjust the lightness or thickness. 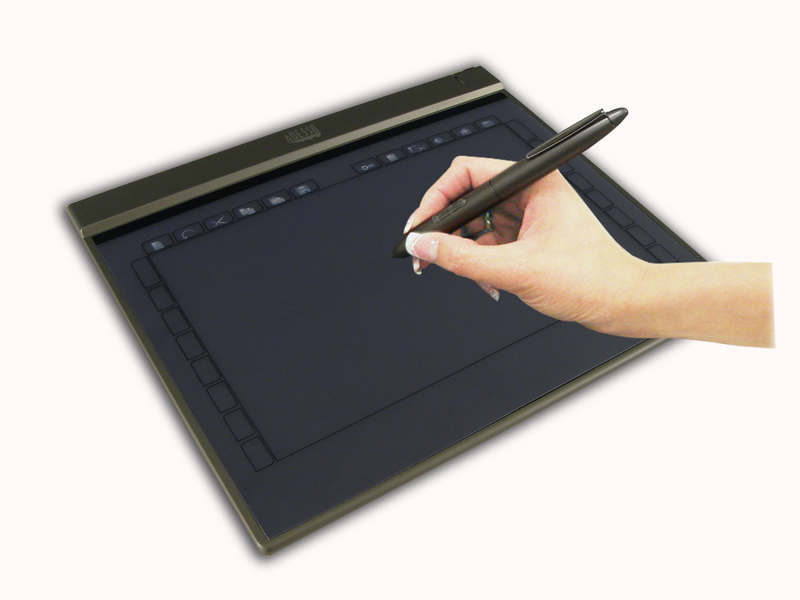 It features accurate pressure sensitivity to accomplish the most sophisticated computer-aided designing tasks. A powerful, yet easy-to-use combination of an ergonomic pen, tablet and software lets you naturally draw and write freehand graphics and text as comfortably as you would on real paper. The possibilities are endless with this ultra slim, portable graphics tablet- plus its small enough to go wherever you go. 10" x 6.25" writing area, making it the ideal choice for professional computer artists. Wireless 2 button pen with 1024 levels of pressure sensitive to provide all the comforts of a normal pencil. 1024 gradations of pressure sensitivity for highly accurate rendering in painting and writing. High resolution, supports up to 1000 lines per inch. Easy connection to USB port. Dimensions: 12" x 10" x 0.35"
Tablets Drawing Area Dimensions: 10" x 6.25"